Thank goodness for all that are worth the wait. 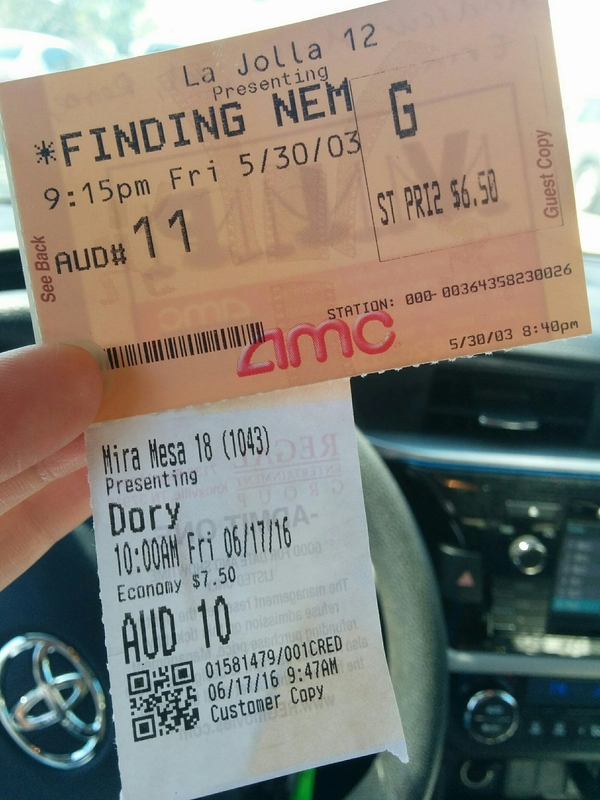 Thirteen years ago, I first watched one of my favorite movies, “Finding Nemo“. Three years ago, they announced its sequel. Today was a long time coming. “Finding Dory” is so a-Dory-ble, I could hardly con-tang my glee. It’s a must-sea! Wa-ter you saying? You don’t want a-Nemo puns? O-cean-t have done so many. Sorry, can’t kelp it, sometimes. Okay, one more: what do you exclaim when multiple algae are causing trouble? Whale, if none of these made you smile, then no pun in ten did.